To forage is to get outside, in your urban or rural environment, to open your eyes and to seek out the food that is growing around you that you can access for free. It’s a way to make a connection between your environment and to the food on your plate; to make nature into a treasure hunt for the tummy. Many of our customers have asked us for a dry side fish and forage so here it is! Much the same as the kayak, fish, forage & feast but without getting wet! "Thanks for a great experience on our Kayak, fish, forage and feast day. We had a great time. We learned a lot about seaweed (surprisingly tasty! ), and enjoyed both the kayaking and the meal afterwards. Loved the enthusiasm of all, and thanks for sharing the knowledge. From our spot on the beach in Studland we have the best location in Dorset for a seashore foraging walk. From sea vegetable and sea weeds to crabs and cockles, whether through our kayak foraging adventures or by foot we’ll get you out and investigating our surroundings. 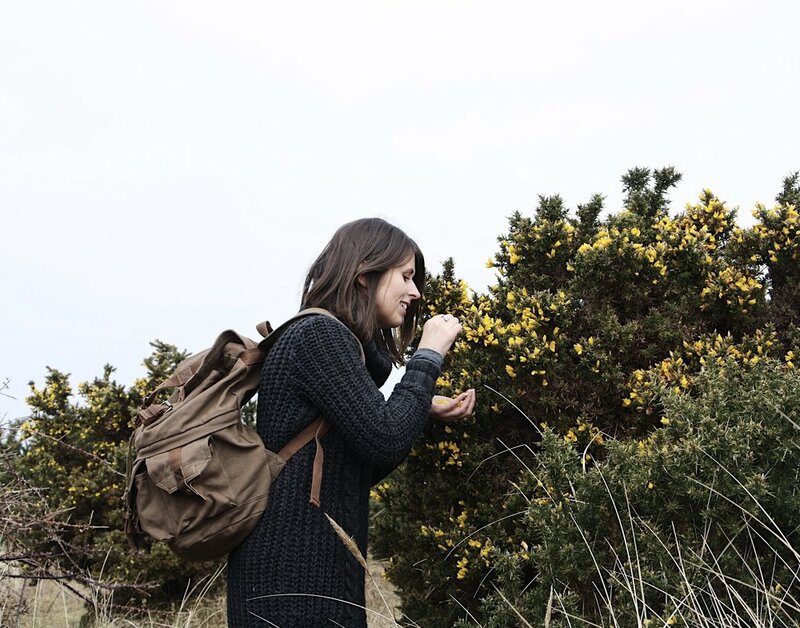 Teaching you skills to identify and prepare what we find, our foraging courses will show you how to make the most of nature’s very own larder, whether in the sea or on the shore. 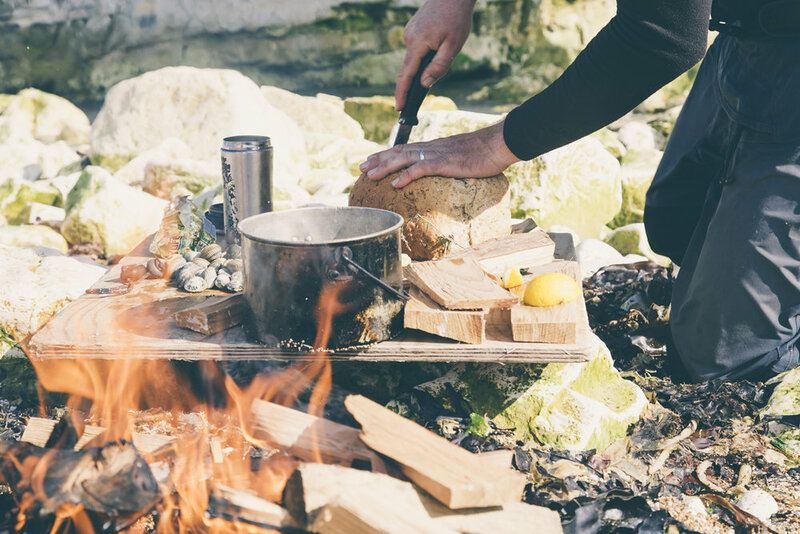 And if you’re lucky enough we can even cook up your finds on the beach, using bushcraft techniques that will be sure to bring out your inner adventurer. You’ve been warned! 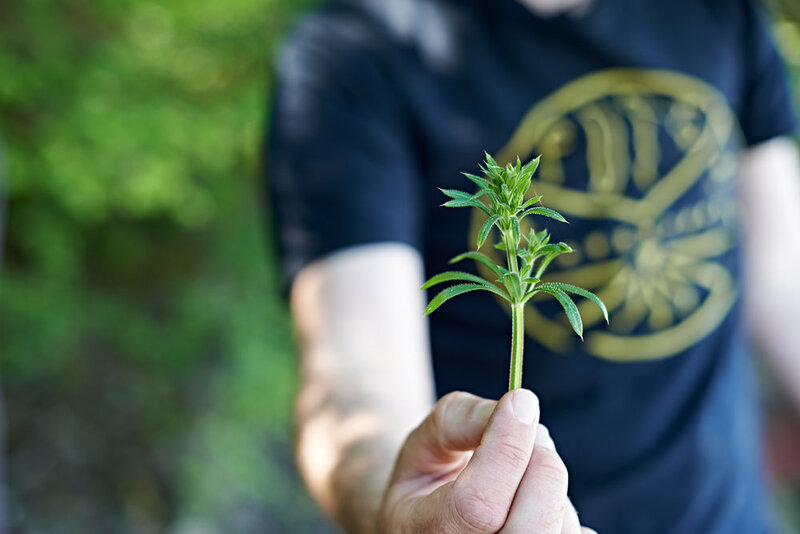 We run seasonal foraging walks throughout the year to share our knowledge of wild plants, their medicinal properties, how to harvest them and prepare them for eating. Join us on the shore and in the woods to take away some tasty morsels of information to help you reconnect with the great outdoors in a new and nutritious way! 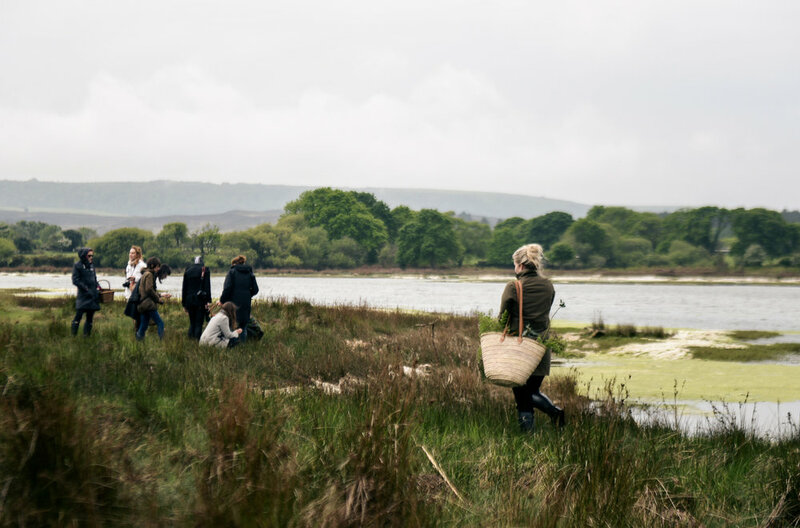 Ideal foraging courses in Dorset for families and beginners. Our trusty kayaks allow us to get access to the wonderful creeks, islands and chalky stacks that are host to a whole array of wild edibles. Hop aboard a Fore adventure to source your supper with us by kayaking, fishing and foraging for the ingredients you need. We run half days or full days where you get to cook up a fantastic feast alfresco with us and your new adventure companions on the beach. Our passion for nature and all that it provides is celebrated in ernest throughout the year but it is with these four forage and feast events that coincide with the seasons that we really spread the love. Our hardworking and talented team pull together to forage for wild ingredients that are then lovingly handcrafted into a 3 course wild feast for you. Under canvas, under the stars or at our secret hideway beside the sea join us to learn about wild plants and how to create your own green goodies, you can be sure that you leave our handcrafted feast with tingling taste buds and happy hearts. Dan our head forager is an ethnobotanist and bushcraft instructor who trained under John Ryder, founder of the renowned Woodcraft school. His team are all also qualified ethnobotanists and ecologists. As a WISE wildlife safe accredited operator you be can rest assured that we work responsibly, without disturbing the wildlife and sealife and we forage sustainably and sensitively. Half day activities are priced between £40-£70 per person and full days are £90-£120 per person and can be booked through the bookings page. Prices for children vary per adventure but start at £10pp. If you're looking for something extra special hop on over to our events page to see what we've got scheduled this year. Bespoke options are priced according to group size and the scope of your adventure imagination- give us a bell for more information. All of the equipment you need is provided and if the weather gods let us down and we have to cancel then we promise a full refund or a chance to rebook. Read what our customers love about our experiences in Dorset! !